You are home to such beautiful plant life resting in Druid Hill Park. With all that life, you are still young and stunning. One of my first field trips in this country was to you and your five areas: the Palm House: oldest of all; the Orchid Room: vivid in color and hue; the Mediterranean House: a getaway from the winter gloom; the Tropical House: a perfect island paradise; and the Desert House: home to the peculiar agave and its 100 year bloom. All of the houses you hold are unique in their own way. Although your roof soars 90 feet with 175 windows, you don’t seem very large, but that’s all right. Your energy fills the hearts of those who enter. The glass house of dreams is what your fans call you. There used to be many like you but you survived longer than most. The weddings you host are filled with love and your staff maintains your glow. How do you continue to stand and bask in such glory? 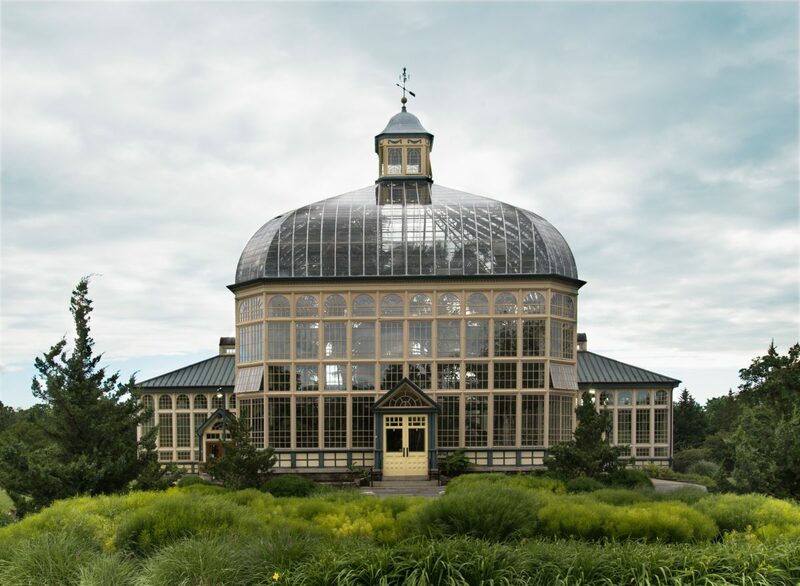 You are the second oldest steel-framed glass building, changing colors inside with the seasons. The plants express their talents with shows and displays. I think I will love you always. Do you ever get jealous? I bet most forget all about you. I bet most walk through your halls and don’t even notice you. They walk through your doors without great appreciation of you. Your arches, your cream walls. You are cherished. Without you where would those flowers go? You are the protector, provider and bed of life. You are historical. You are wise. I just had to look twice.